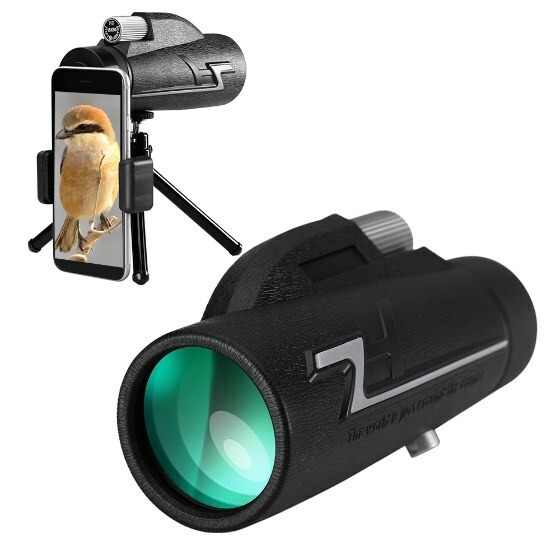 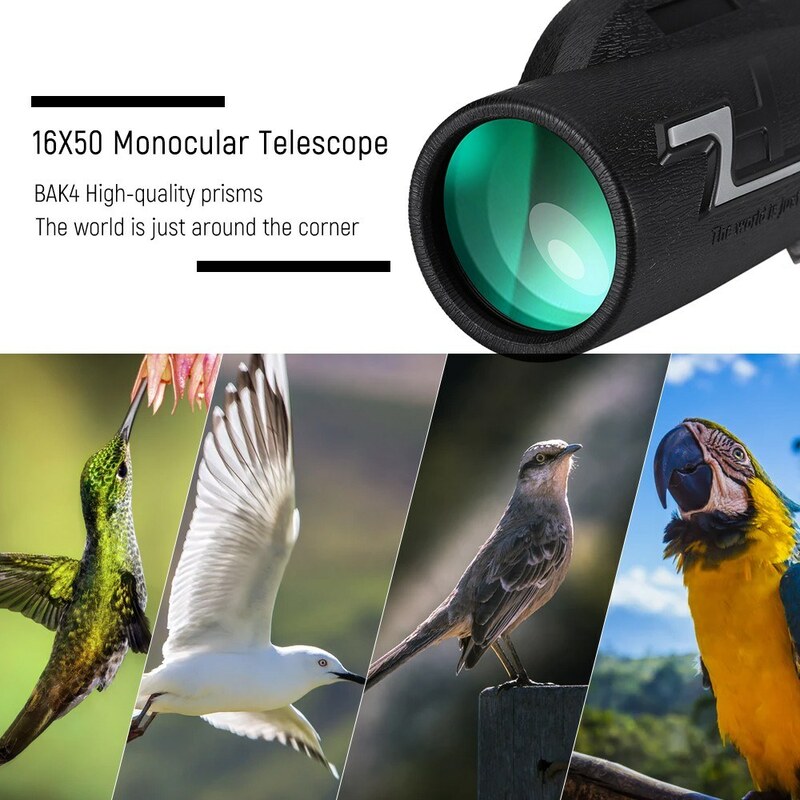 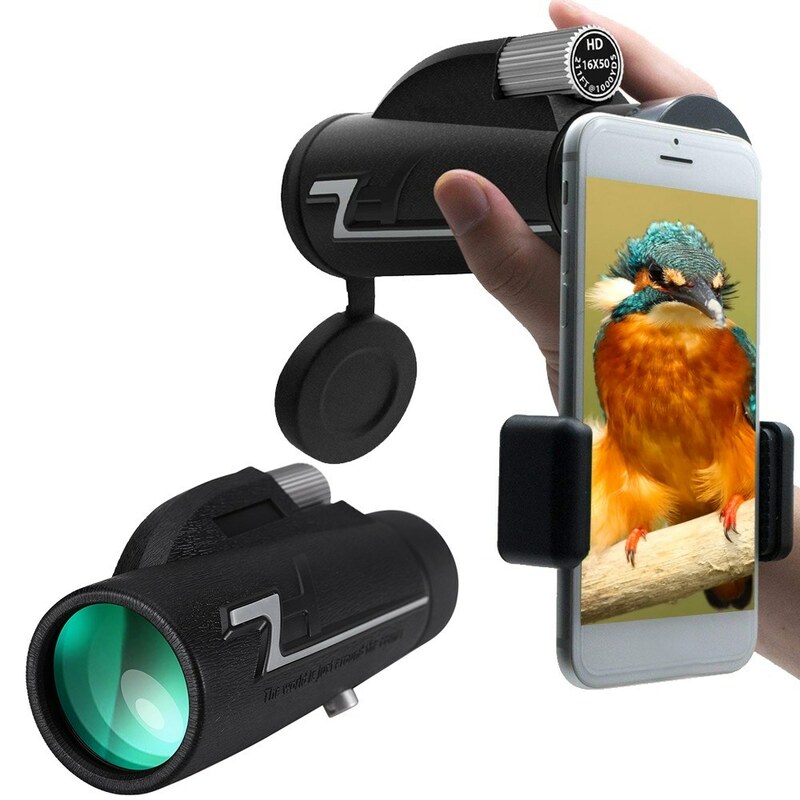 16X50 High Power Monocular Telescope: 16X magnification with 50mm lens, helps you see target clearly, whether you are searching for birds or trying to get a better view of the stage. 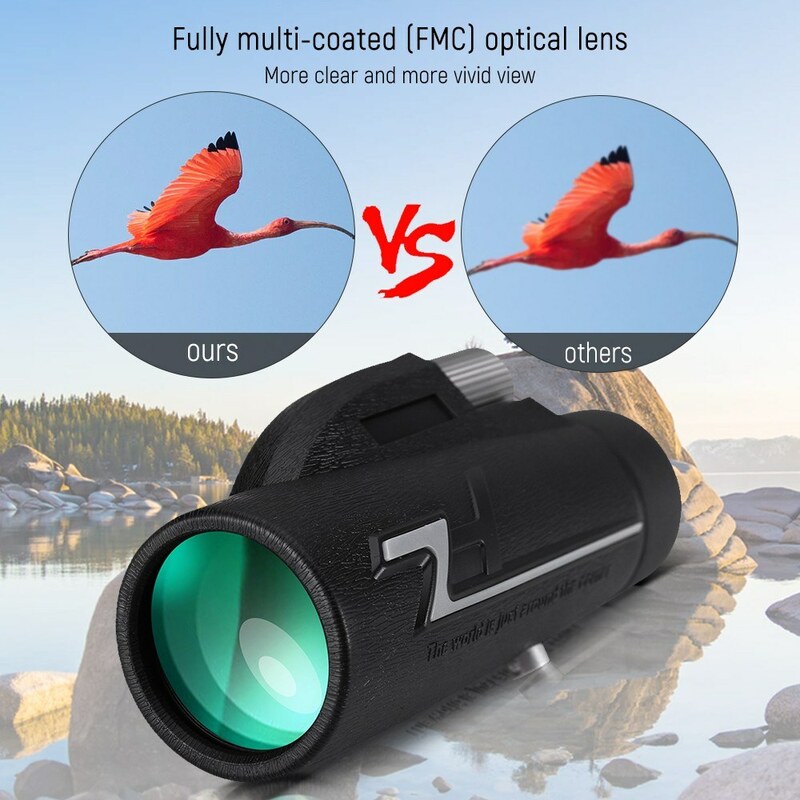 High-quality Lens and Prisms: with fully multi-coated (FMC) optical lens and BAK4 prisms, which guarantees superior light transmission and brightness, helps you see target clearly. 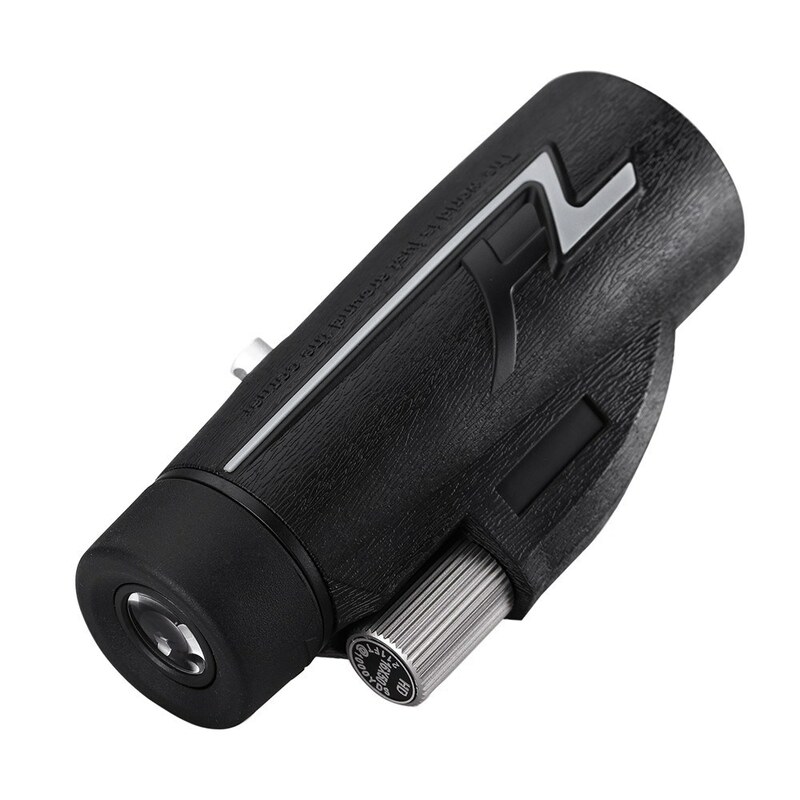 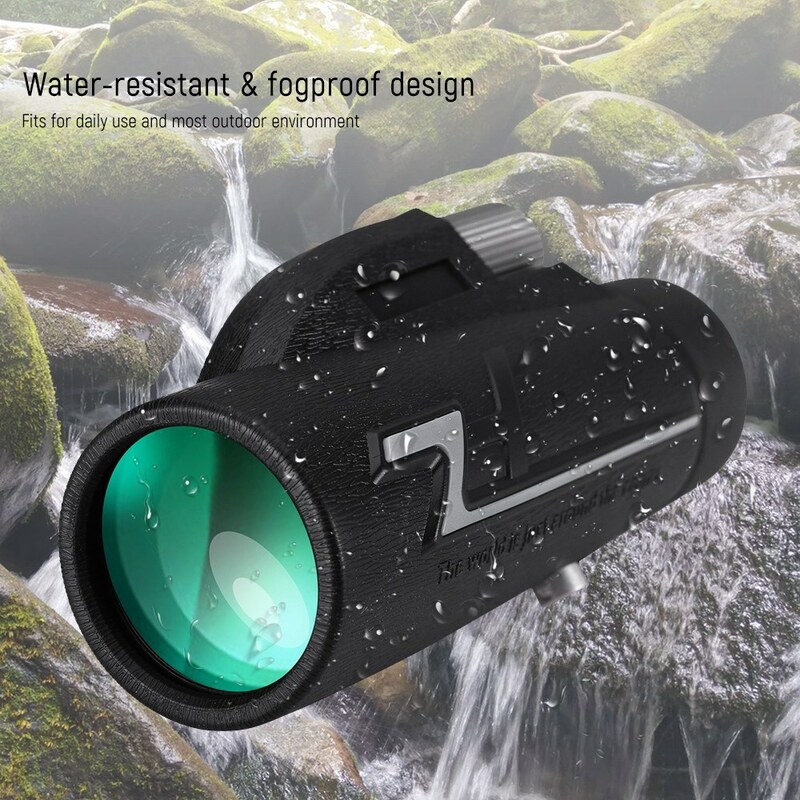 Water-resistant and Fog-proof design: fits for daily use and most outdoor environment; can prevent moisture, dust and debris from getting inside the monocular,excellent user experience. 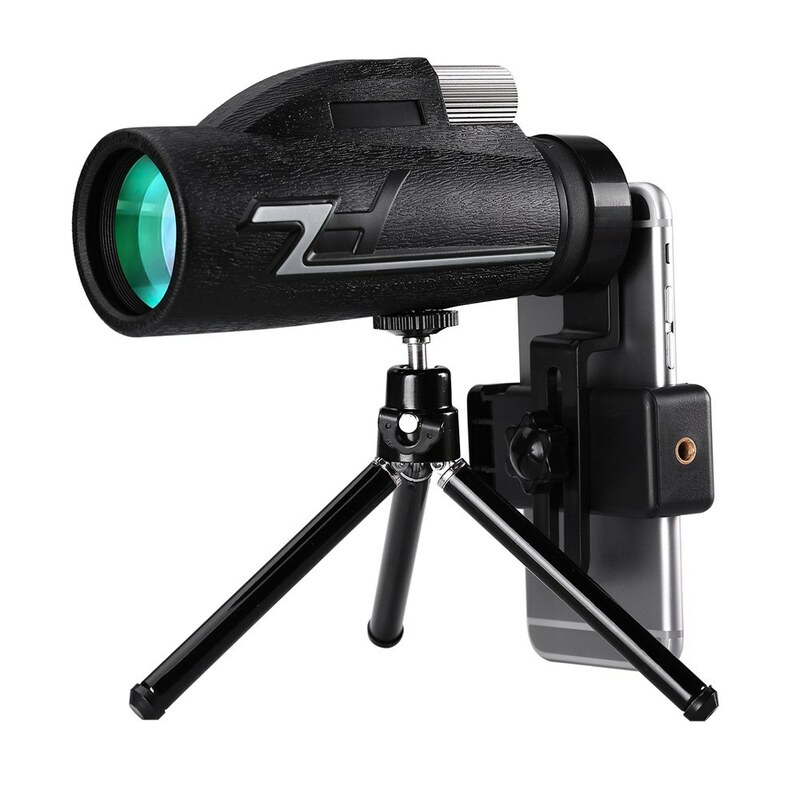 With Phone Holder and Tripod: comes with an adjustable phone holder and mini tabletop tripod for convenient usage, and the phone holder is compatible with iPhone X, 8/8 Plus, 7/7 Plus, Samsung, Huawei, xiaomi and other smartphones. 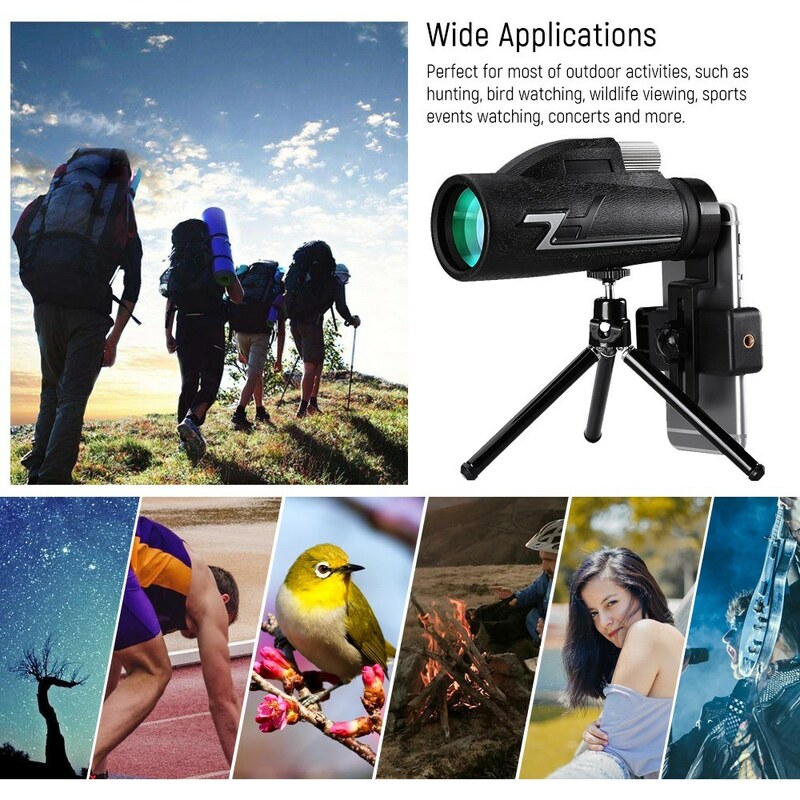 Super Wide Applications: perfect for most of outdoor activities, such as hunting, bird watching, wildlife viewing, sports events watching, concerts and more. 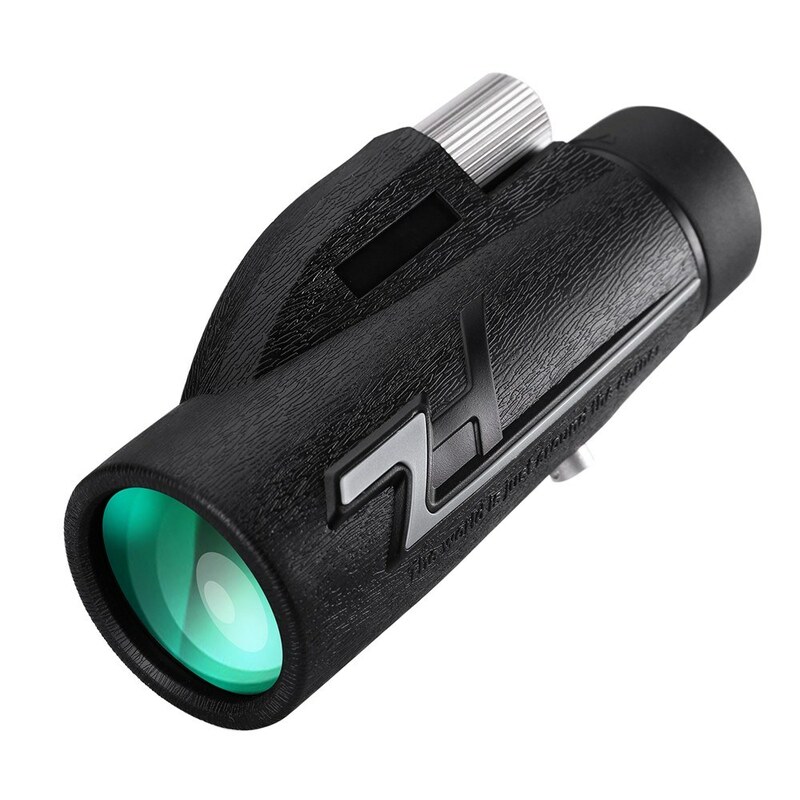 The color of carry bag and cleaning cloth will be sent randomly. 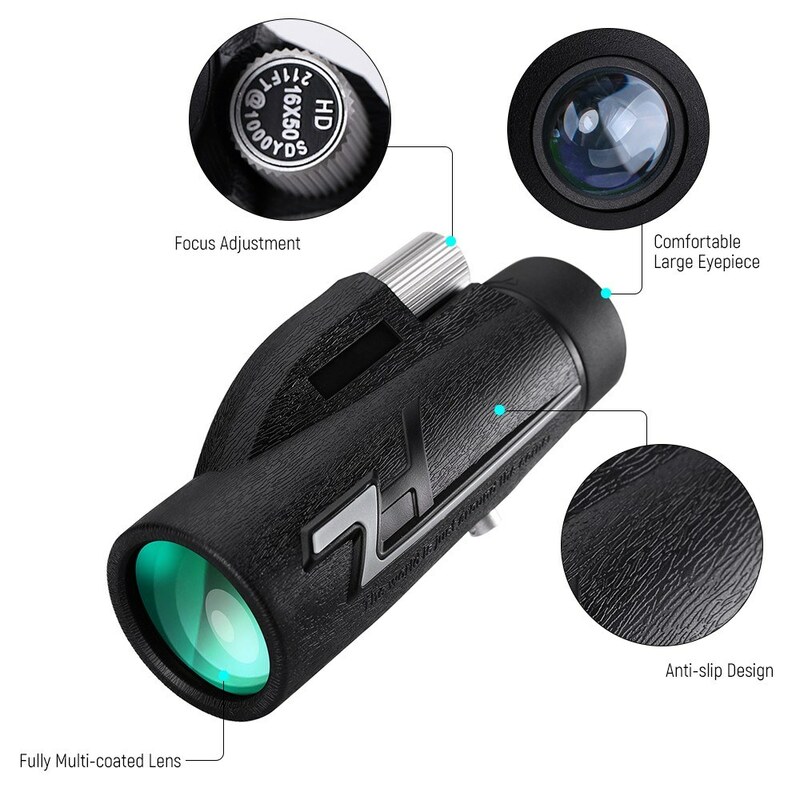 Q Is it possible to photograph a pricture with the product? 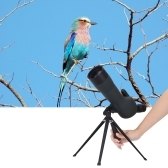 A Sorry, it does not support, it is a 16X50 Single-tube Monocular Telescope.